To Enable or Disabled Printing tick the Enabled Tick box. 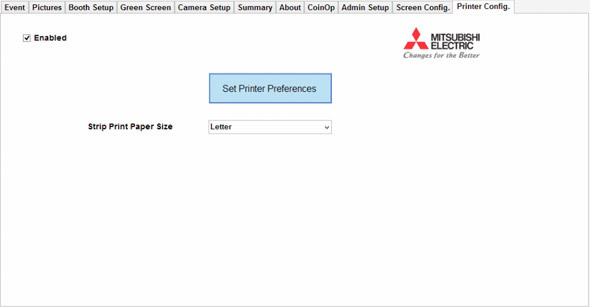 Select the type of paper to be used for strip printing (if you printer supports it) and if you wish to configure your printer more click the Set Printer Preferences button where you can configure your printer directly in the Windows Printer configuration. CP-D707DW Printer Driver Instructions for Windows 8. If you have Windows 8.1 Follow these instructions for booting into Unsigned Driver Mode.